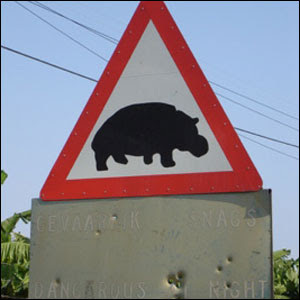 This series of photographs of "Signs of Africa" posted on the BBC is awesome. Who wouldn't want to move there? Rick Donlan, an innovative doc among the Memphis indigent, has a talk that he titles "From the 'Hood to the Hindu Kush", which is all about why serving in the American inner city is the perfect training ground for international medical work. One of the facets of his clinics in Memphis is that they take young docs from around the country, bring them to Memphis where they work (and live) among the inner city, get their loans paid off, and (in his words) then send them off to some place real scary. 1. Immigrants pool in urban areas: my patients are quite often only speak Spanish, French (West African), Thai, Somali, Arabic, etc. 2. Plenty of experience working in limited-resource scenarios. 3. Both the inner city and communities abroad are very tight-knit and often very large families. 4. Both environments may have quite a bit of mistrust towards outsiders professing to want to help (and often times for historically good reasons). 5. Often the simple answer (hygeine, money for food, education, neglect) trumps the more complicated answers you learn in med school. 6. You have to stretch your mindset to see things from a very different point-of-view. 7. Lastly, there are some people in both places who will defy your categories. Are they wanting help? Do they want to help others? Or are they after something else? Sometimes you just will never know. I don't think that I'll try to provide a direct answer to the questions from Paul Theroux, as posted below. Instead just a couple stories and thoughts that seem to bear upon the issue. The most significant is an amazing article sent to me by the good James Paternoster from The Times, by Matthew Parris, entitled "As an Atheist, I Truly Believe Africa Needs God." I recommend it in it's entirety. It's subtitle reads: "Missionaries, not aid money, are the solution to Africa's biggest problem - the crushing passivity of the people's mindset." He then goes on to make claims that even I, as a Christian, might not be so bold as to make. The main supposition is that Africa needs a new worldview, one that encourages initiative and ingenuity, and does not bow to thuggish pseudo-dictators. He (almost reluctantly) admits that he finds this change taking place in the areas where missionaries have been the most active within Africa. Of course, this falls into the category of "faith in God as a means to an end", which is a camp in which I cannot put myself, but nonetheless, it gives me great optimism about our goal of Word and Deed. The second story that has seemed relevant to me is that of Abbe Pierre, a French priest that Paul Brand (long-time leprosy doctor/hand surgeon/missionary in India) met years ago. His story is that he started a mission to help the homeless of Paris, and found the greatest effect in having the homeless serve someone more needy than themselves. This apparently turned out to be enormously successful, to the end that they were in the danger of not having enough need to serve. This, in turn, brought Abbe Pierre to Dr. Brand in India, and he found in Indian pariah lepers someone for the homeless of France to serve. He expressed his great concern to Dr. Brand that a lack of service would turn their focus inward and thus be their own destruction. Service as simply a means to your own fulfillment is fraught with difficulty, but I do agree with basic ideas here, and thus remember that turning a blind eye or a hard heart to the suffering in the world is just as likely to be our own end as theirs. Paul Theroux and "Agents of Virtue"
A friend lent us Paul Theroux's African travel tale Dark Star Safari, and it has given me enough to think about that it likely bears sharing. I have never read anything of his before, and was comforted to hear at the end of this story that recognizes himself in the phrase "Pessimistic Globetrotter", since that makes me think things aren't as glum as he paints them. Theroux lived in Malawi in the 60's for 2 years and then taught in Uganda for a number of years, but hadn't really been back to Africa since. He left in the optimism of the independence movement, and since then had only heard the harsh news with which we're all familiar. It left him wanting to find out if it's really "that bad", and if so, why. It was on the whole a pretty engrossing story, and a great primer on tons of geography and culture. And I must give him credit personally for two main things: First, he travels overland all the way from Cairo, Egypt, to Cape Town, South Africa (with a couple minor exceptions in Sudan that couldn't be helped). In doing so, he can provide first-hand observations from many unknown parts of Africa, especially the areas around the national borders, which appear to be often minimally-governed. In Ethiopia, he asks the Kenyan ambassadors how the road is to Kenya, and they reply that in decades of their work, they have never once taken it. Thus, Theroux's perspective is a novel one. Second, he provides a little push back for which I can't help but cheer. On entering Malawi, a young man on the bus repeatedly refers to him as Muzungu, a generic pan-African term for white man. This bothers him, since he knows that decades ago, a young man would have always addressed him, as a senior, with a term of respect. So, he turns to him and says in Chichewa "Do you want me to call you 'dark man'? Because if you don't, please don't call me 'white man.'" The young man casts his eyes down, and addresses him as is appropriate for Malawian culture. However, the reflection that causes me the most pause is Theroux's conviction that foreign donor aid is not only not helping the situation in Africa, but is actually hurting, a net negative that at its best is well-meant, but nevertheless is fuelling a culture of dependence and sloth on the part of African nationals, who no longer take the initiative to solve their own problems. He all but explicitly states that the best thing to help Africa would be for every foreign "agent of virtue" to pack up and take themselves and their funds back home. Some Africans that he talks with seem to back him, and some think they need more money. Since I am now a would-be "agent of virtue", this is a very personal question. I think there is something to his argument, and the strongest evidence is perhaps the lack of results of the past three decades of donor aid. However, he never attempts to take stock of the interim confounders (most notably the advent of the AIDS pandemic), nor does he offer any solutions except a vague admonition to have Africans more involved, which I believe is actually happening more than he describes. It strikes me that just walking away is not the final solution, and what's more, such action may be quite a severe blow to the dwindling compassion of Western nations as well. We agree on this: Dollars do not equal aid. Also, that thoughtful, and if possible African-led, attempts at aid should be the mandate. Perhaps more significantly, Theroux's questions lead me to consider the deep underlying causes behind African struggles, the mindset and the worldview. And strangely, this gives me hope about our plans, since our goals are more wholistic than some. I'll have a bit more to say in another post, but in my opinion, the antidote to Theroux's pessimism is hinted at here. 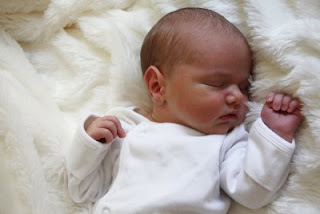 We are pleased to introduce you to the newest member of the "McCropders" -- Micah John Cropsey, born on Christmas Day 2008. He was 7 lbs, 4 oz and 20 inches long. Elise loves her baby brother, but is adjusting to the fact that she now has to share mommy & daddy with someone else! Years ago, after a couple summers in Eastern Europe, where German is a useful trade language, I was trying to learn some Deutsch, and had a goal of playing an entire round of the German board game Settlers of Catan in its Muttersprache (i.e. in German). In fact, it was John Cropsey who taught me the game in the first place (and slaughtered me, but that's another story). - Ninataka kufanya biashara jiwe. = I am wanting to trade rock. - Je una kuwa na kondoo? = Do you have sheep? = I don't have sheep. - Hakuna matata. Duru yako. = No problem. Your turn. It actually wasn't that smooth at all. Heather kept injecting Spanish words into the conversation, and a couple times a trade was made, only to realize you had been asking for the wrong thing. At any rate, it is a fun way to inject some pre-language learning, and even though I played one of the worst rounds ever, I still got some education out of it.